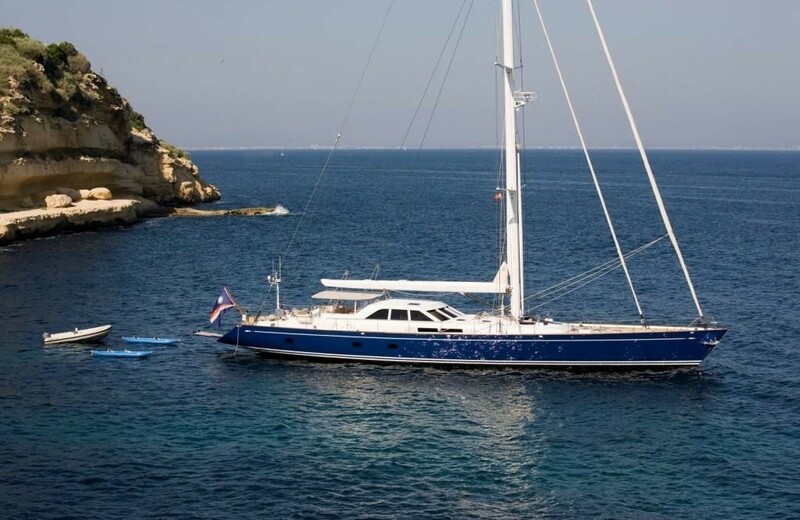 Luxury Charter Yacht KAWIL (ex Gitana, S/Y Zingaro) is a wonderful sailing yacht designed for cruising in stylish comfort by the celebrated Sparkman & Stephens yachting company. 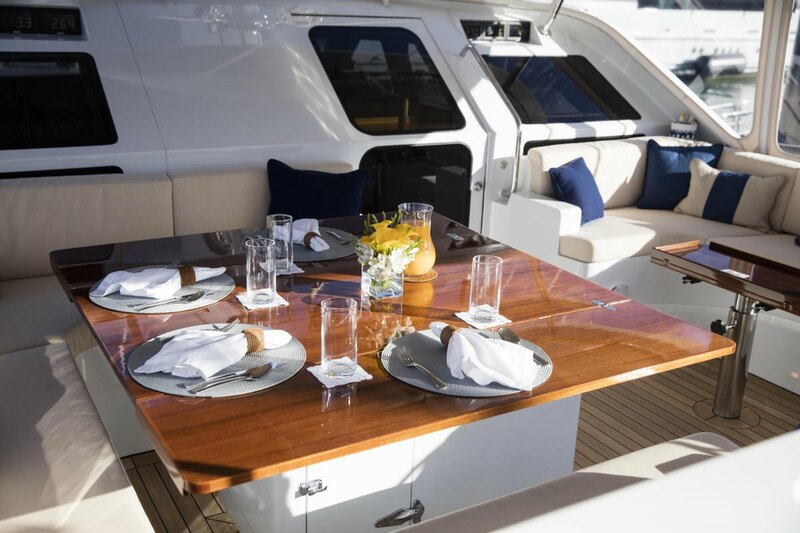 The 34m luxury sailing yacht marries classic yachting prowess with contemporary luxury and mixed extraordinary comfort with good sailing performance. 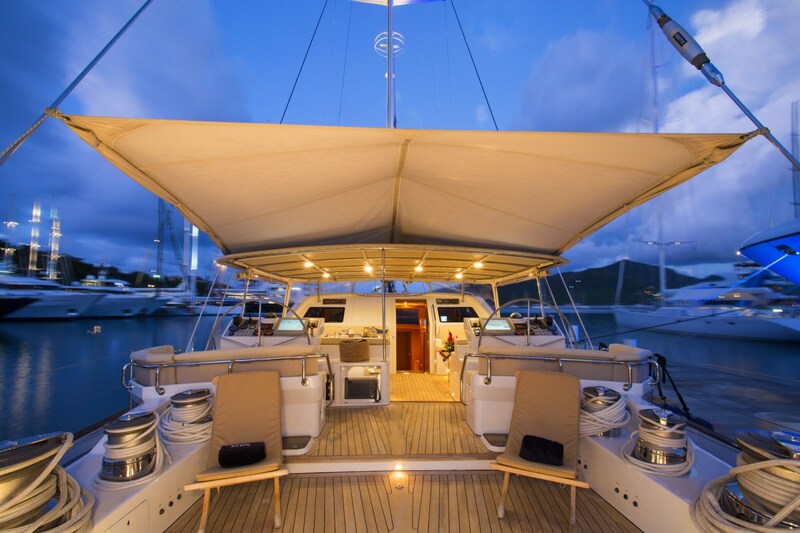 Sailing yacht KAWIL is available for luxury charters in New England and the Caribbean. 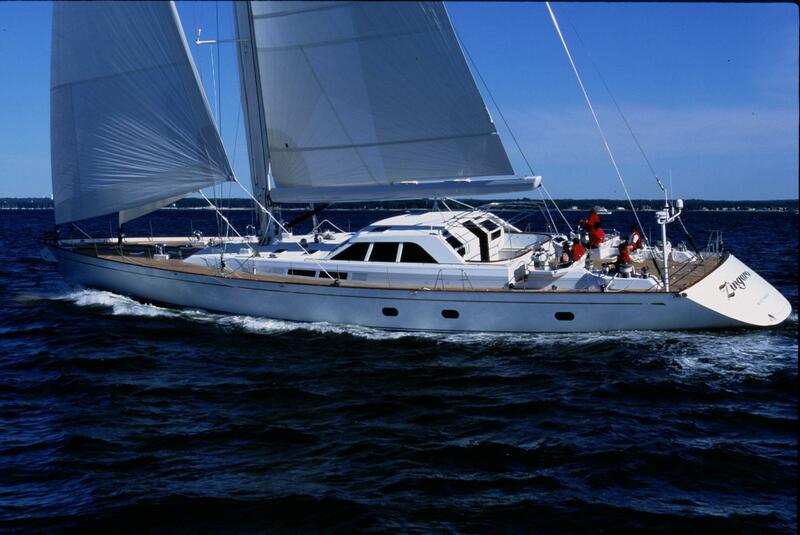 Launched in 2000 by the American Derecktor Shipyard, KAWIL is in superb condition and was also been wonderfully refitted in 2008 and 2016. 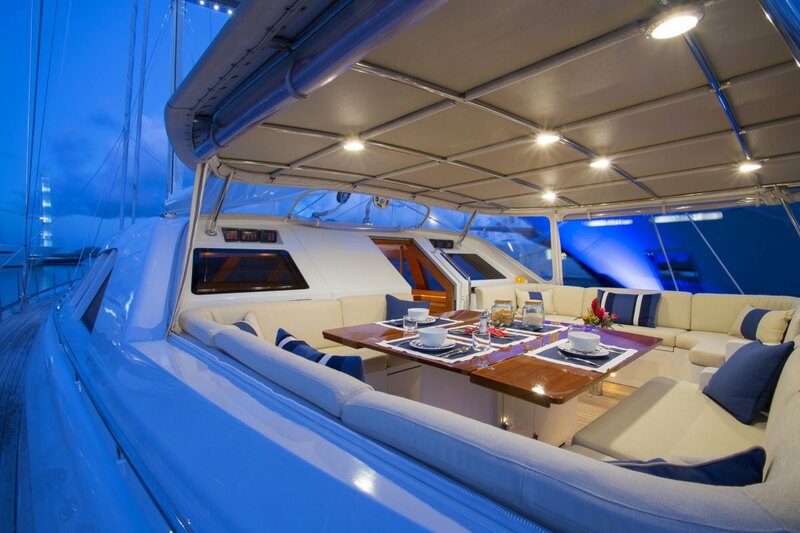 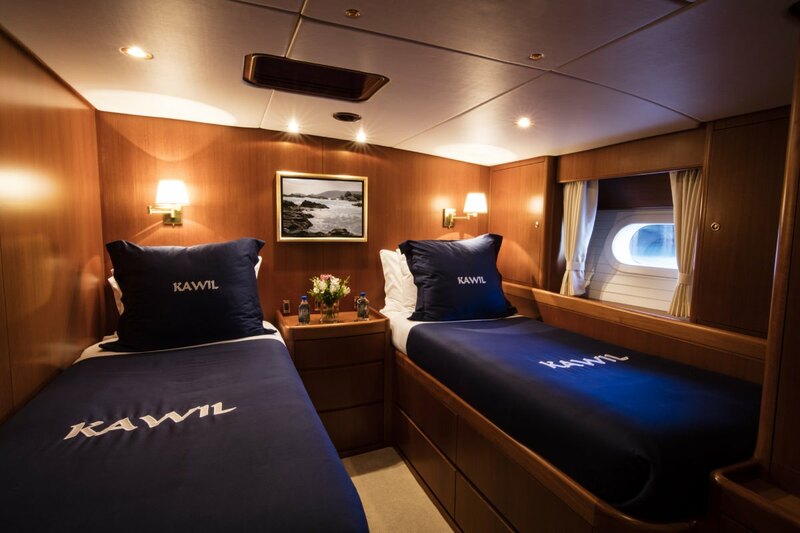 KAWIL yacht accommodates up to six charter guests in three cabins and comes with an attentive professional crew of four. 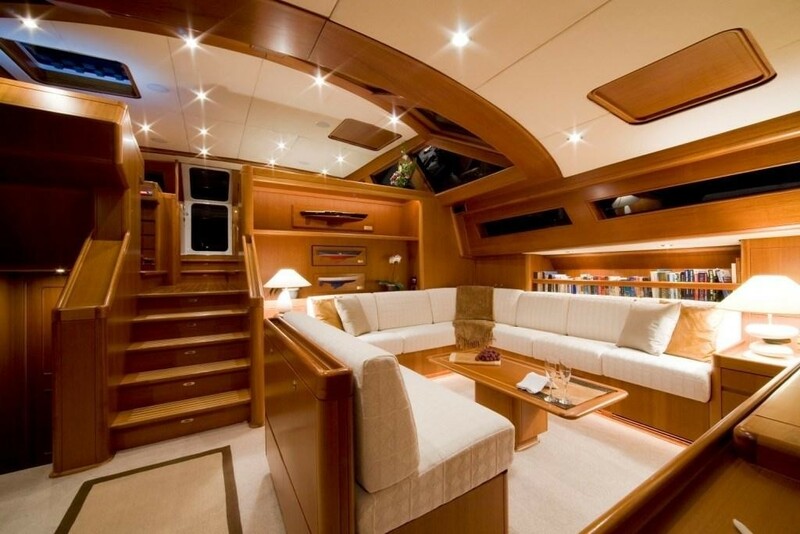 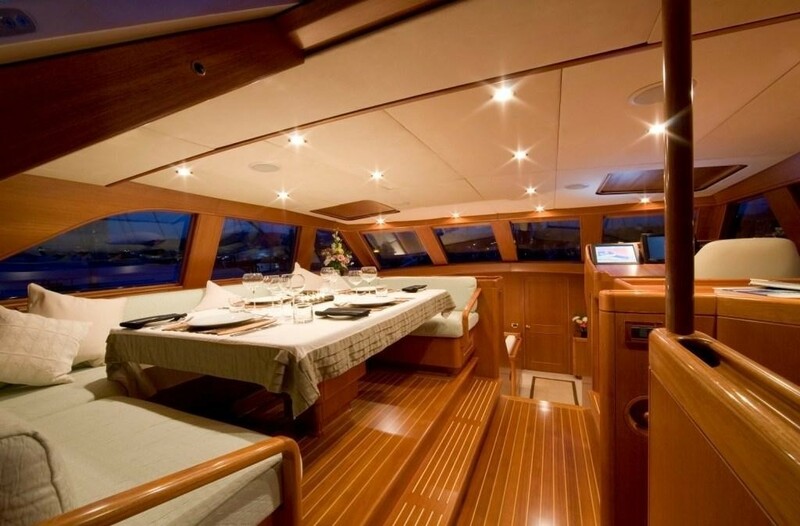 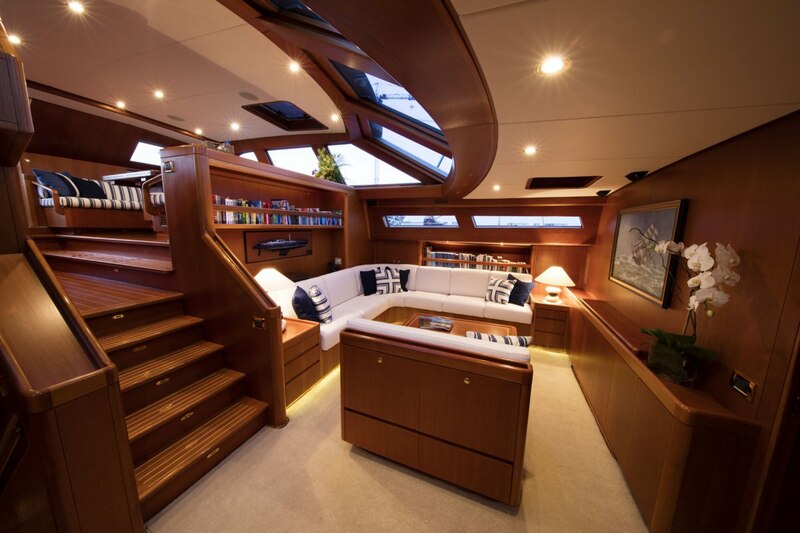 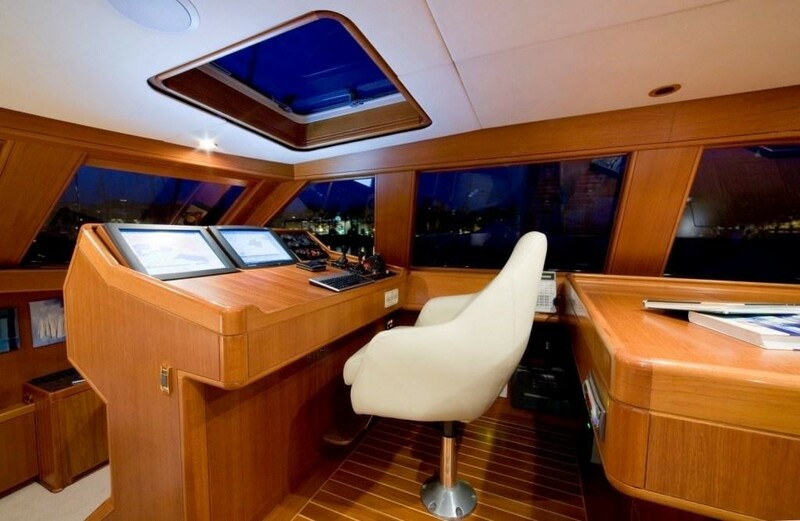 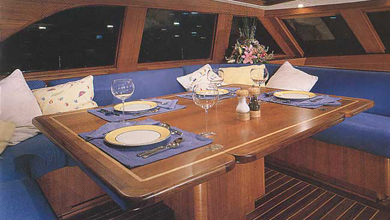 This charter yacht’s interior means comfort. 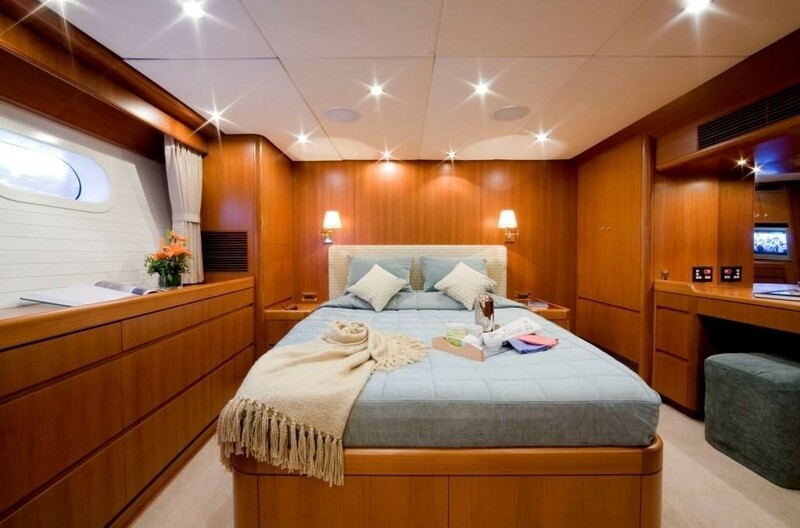 Her lounge and dining room are spacious and stylish and her staterooms are individually equipped with what everything you need. 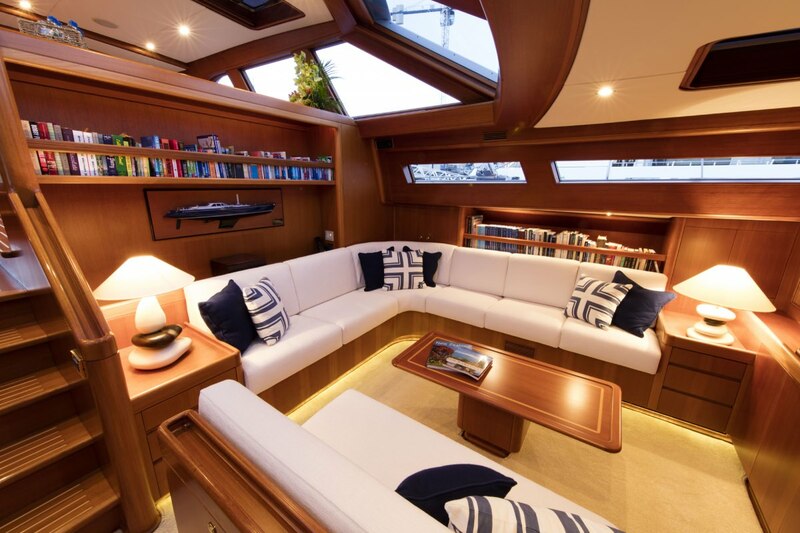 As she was designed by the celebrated Sparkman & Stephens yachting company, the 34m luxury sailing yacht combines classic yachting style with contemporary luxury. 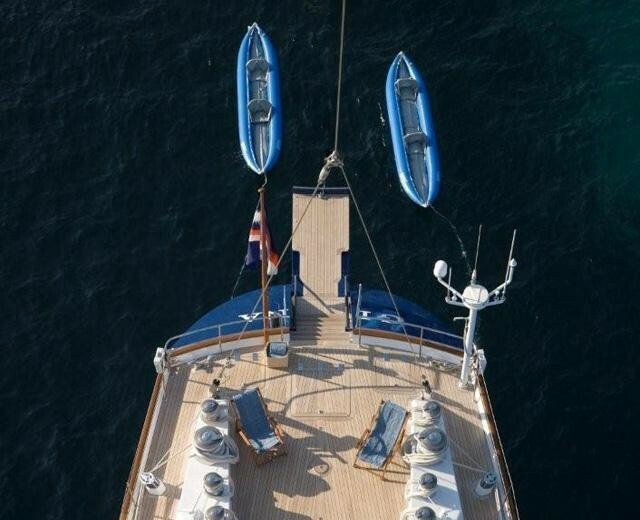 She can easily reach 11 knots even in the most moderate winds. 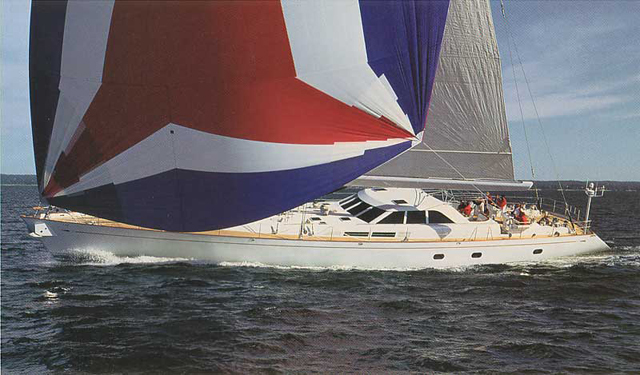 Launched in 2000 by the American Derecktor Shipyard, KAWIL is in superb condition with several major refits over the years. 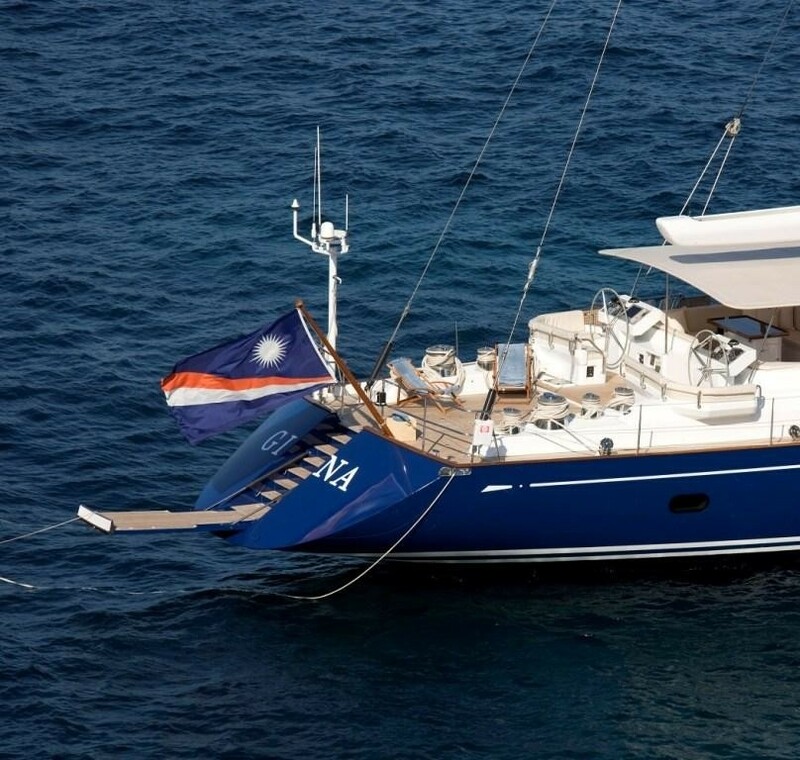 In January of this year (2016) she received new paint to the hull and rig. 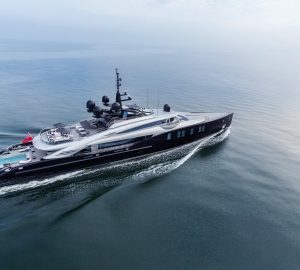 Superyacht KAWIL has a top speed under engine of 10 knots and she cruises comfortably at a fuel efficient speed of eight knots. 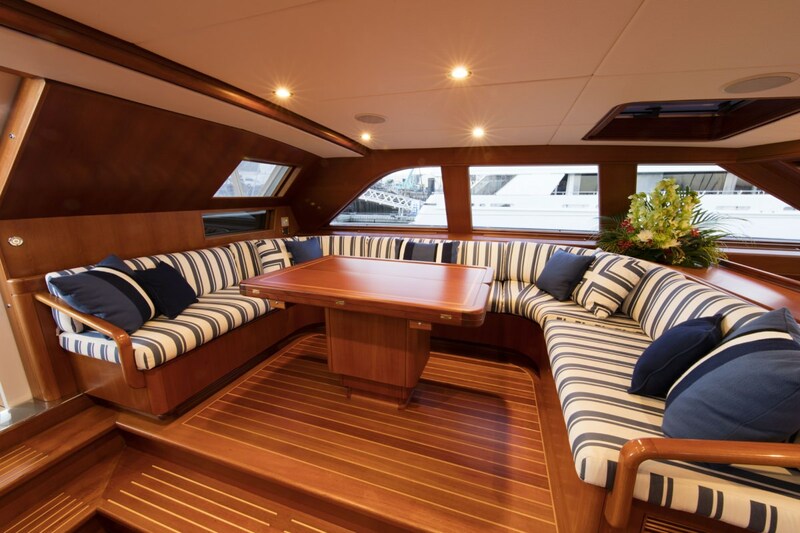 A dedicated professional crew of four, essures this charter yacht is ideal for your luxury holidays on the water. 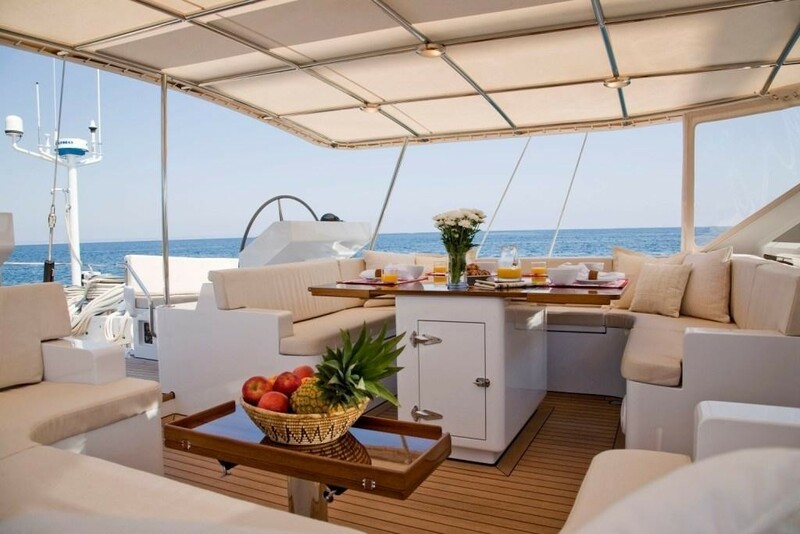 Luxury Charter Yacht KAWIL has good deck and cockpit space so enjoying the fresh sea breeze, ocean views and warm sun becomes easy. 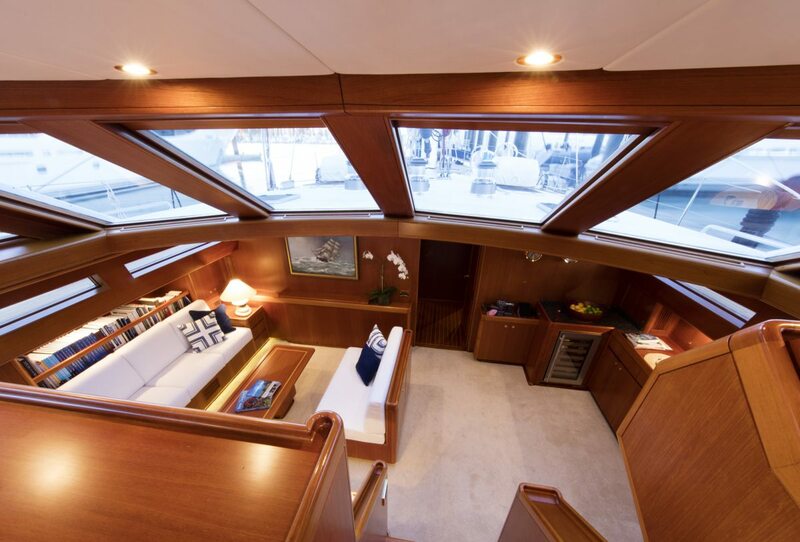 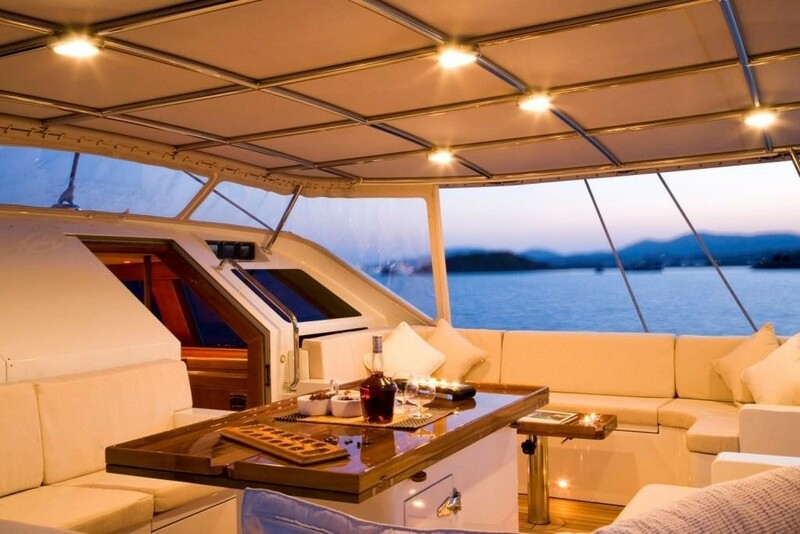 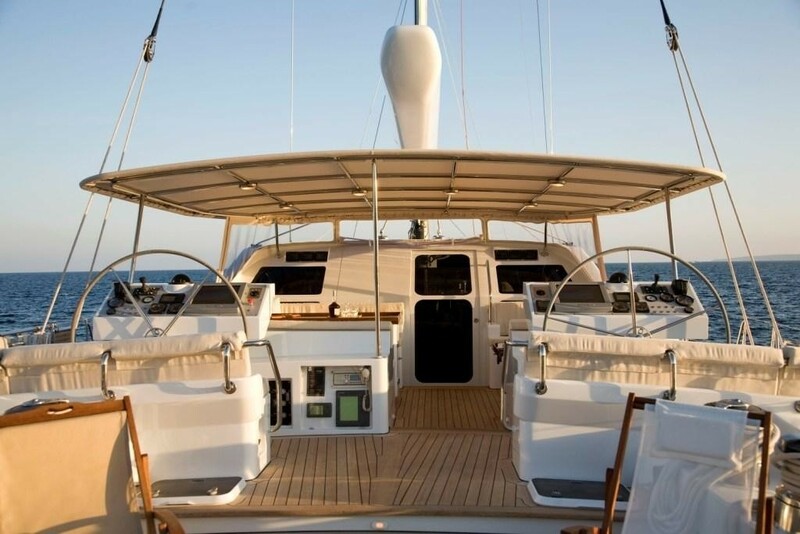 Alternatively, when the Caribbean sun strengthens you may fold away the luxury yacht’s windscreens and stretch out under her Bimini top which shades the expansive over sized sized cockpit. 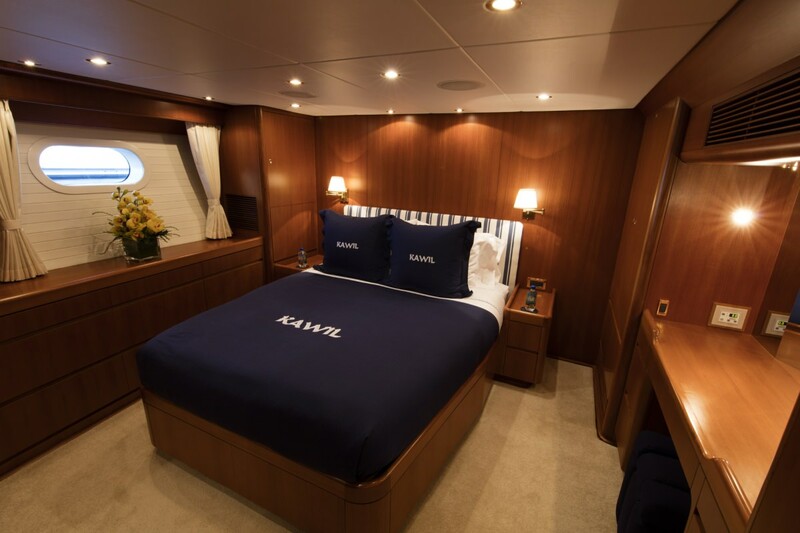 The master stateroom on KAWIL yacht is in keeping with the boundless space and comfort onboard. 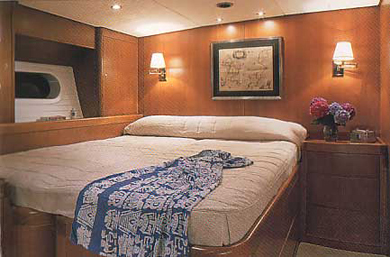 A queen size bed is complemented by an adjoining make-up counter/desk. 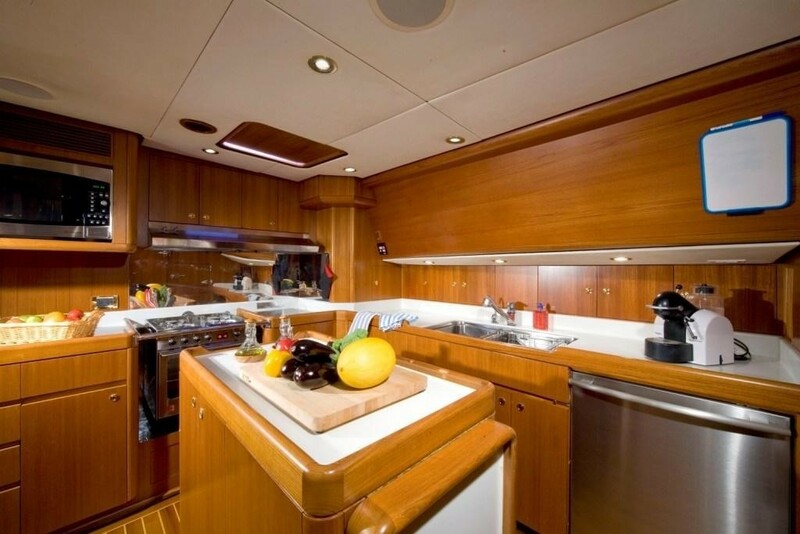 In addition, ample cedar-lined closets, drawers, and lockers are abundant. 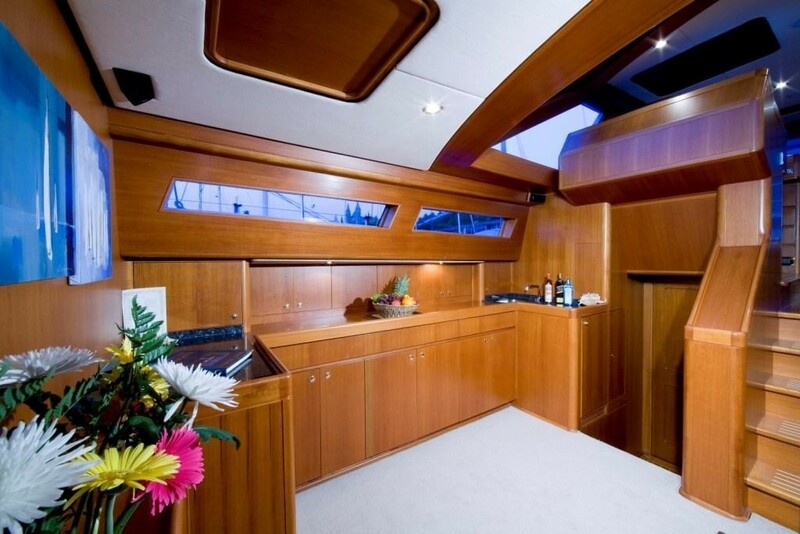 A built in TV/VCR/CD entertains in complete privacy, while a walk-in shower, bathroom finishes the luxury. 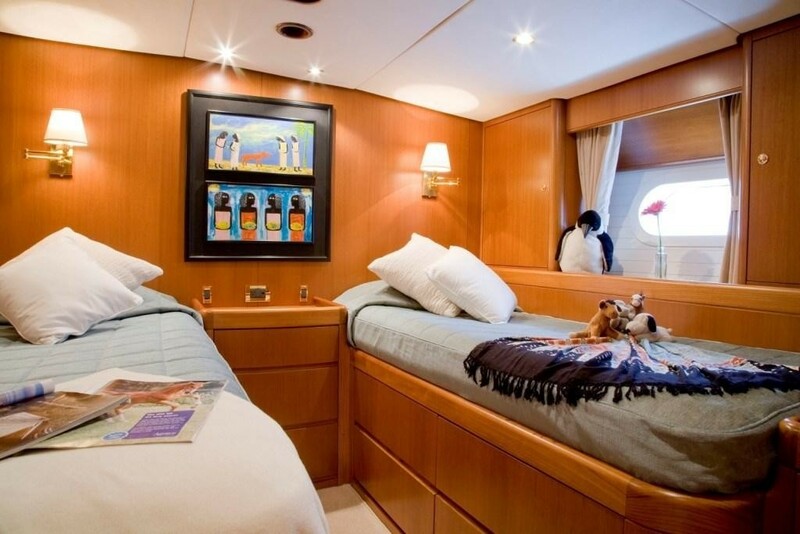 Further aft there are two guest staterooms, both with twin beds and individual en-suite bathrooms and showers. 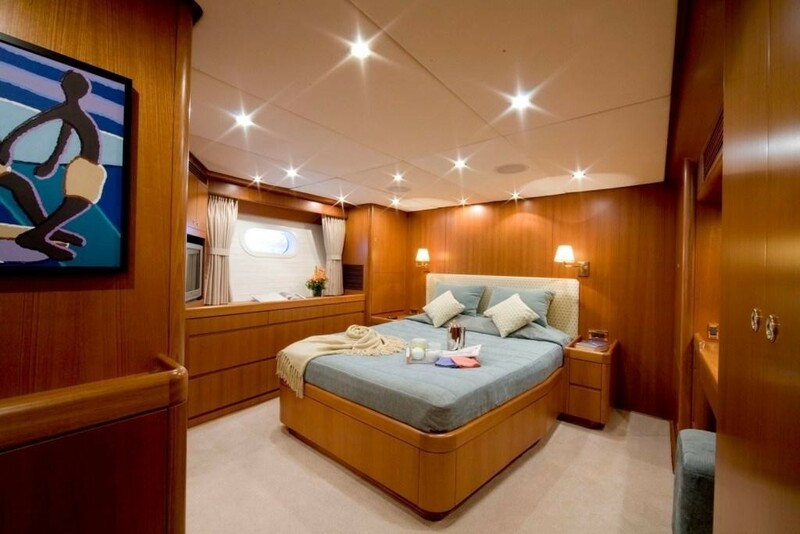 For more flexible accommodation the yachts twin beds in the starboard guest room easily convert into a cozy double berth. 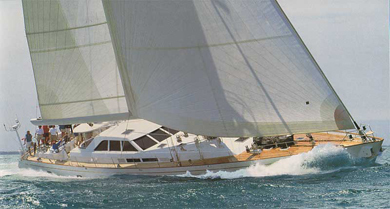 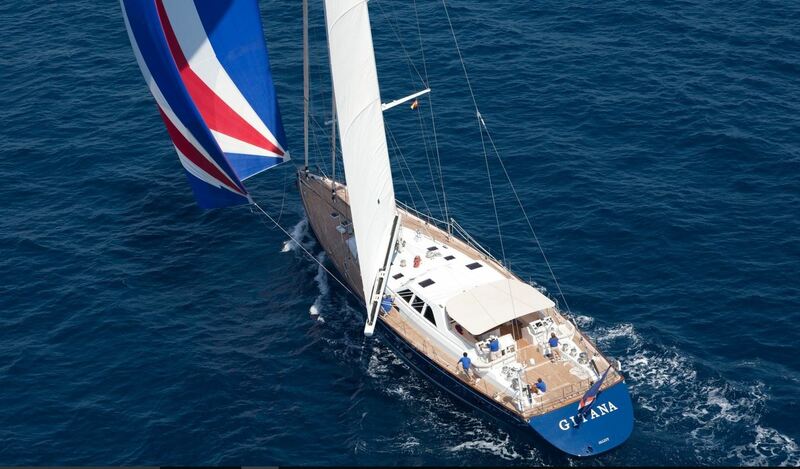 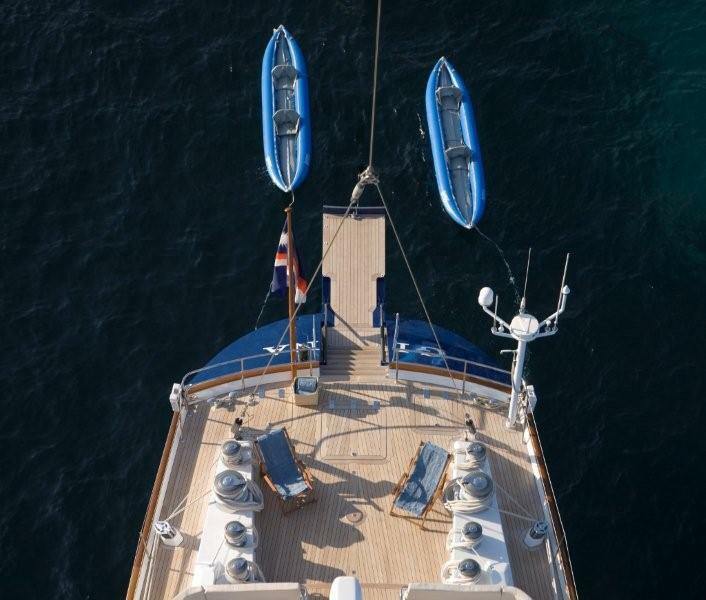 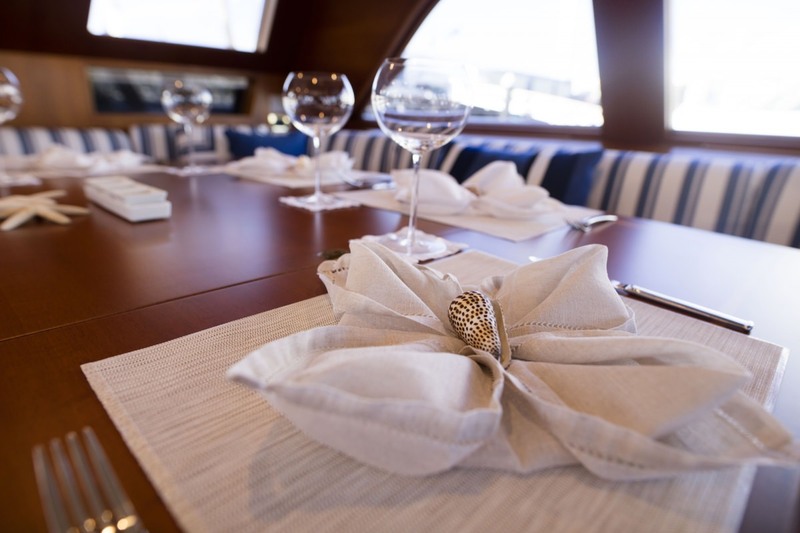 KAWIL (ex Gitana, S/Y Zingaro) can accommodate a total of 6 guests in 3 cabins. 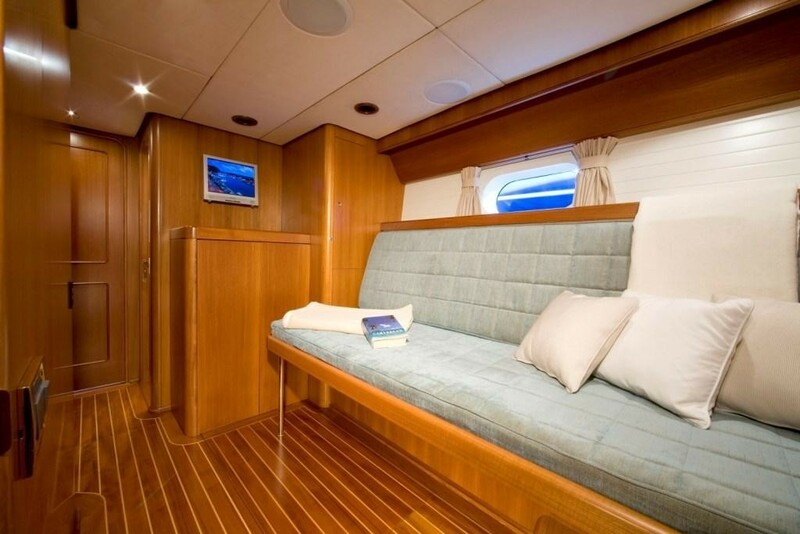 The spacious master suite cabin has a queen size bed, settee, and vanity, ensuite head with shower. 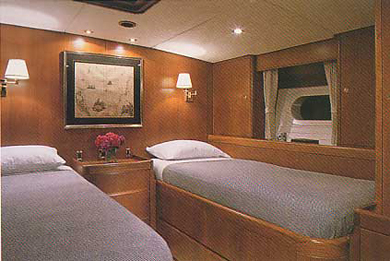 The Starboard guest cabin has twin lower single beds which can convert to a queen bed, ensuite head & shower. 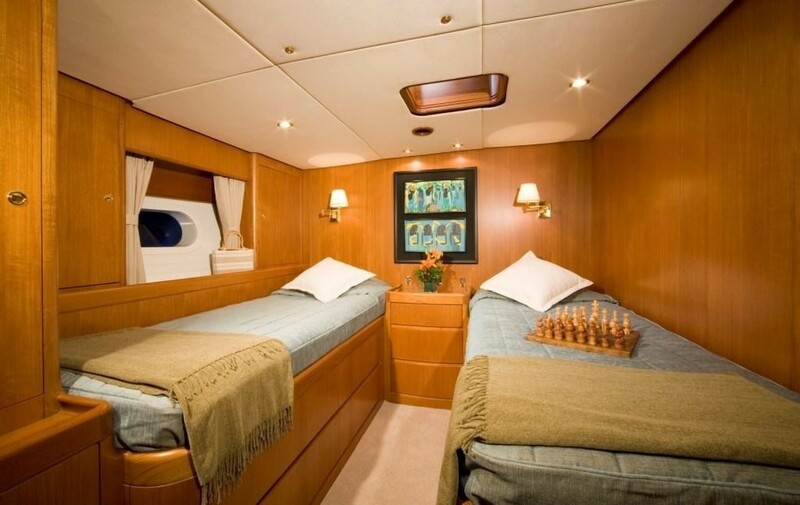 The Port guest cabin has fixed twin lower single beds, with ensuite head & shower. 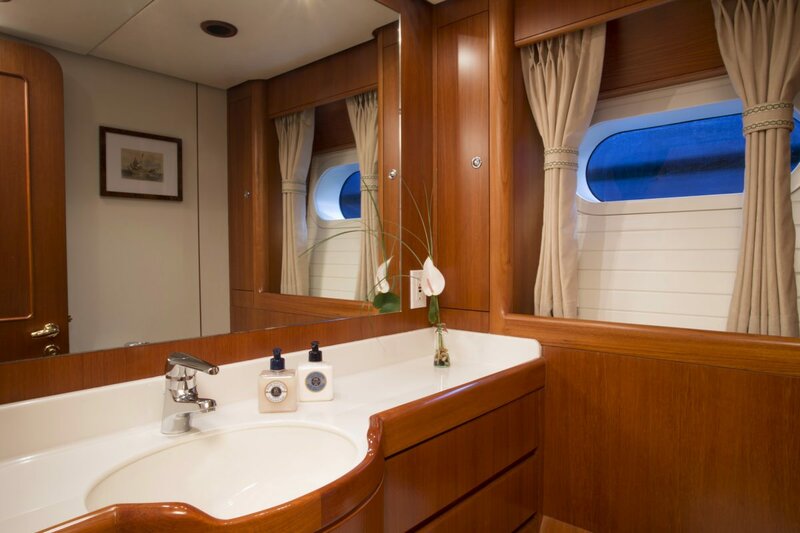 KAWIL can - with prior approval of the captain - accommodate a 7th guest (for example, a child or nanny) in the exercise room which has Pullman berths and ensuite head. 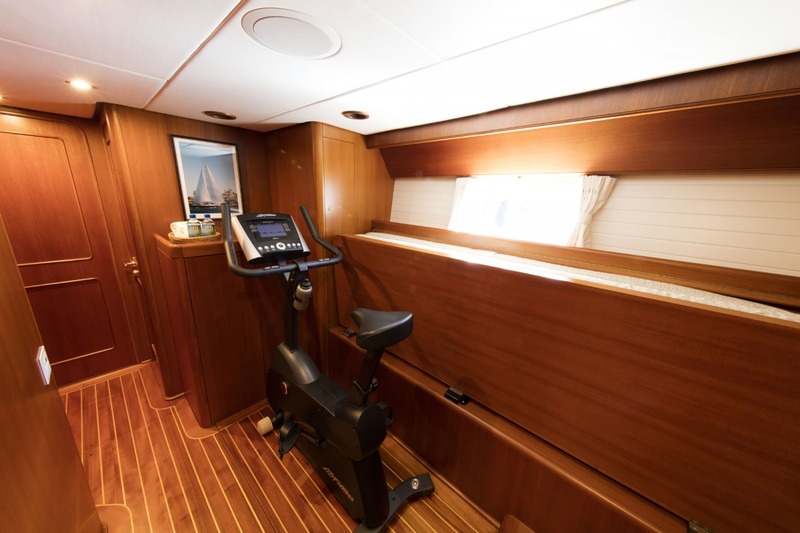 The guest using the exercise room would share a shower with one of the other guest cabins. 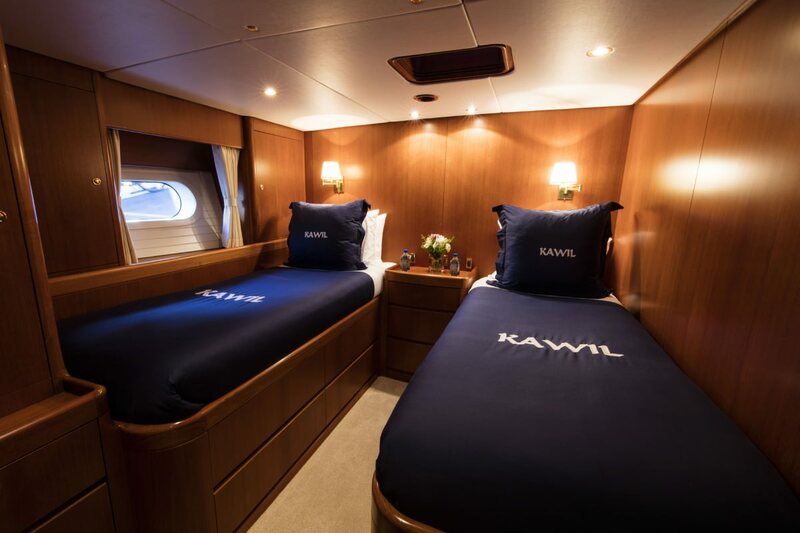 Sailing yacht KAWIL is fully air conditioned through out. 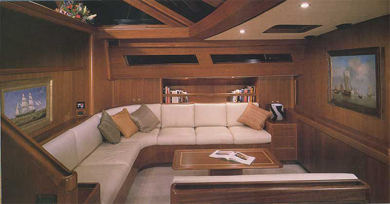 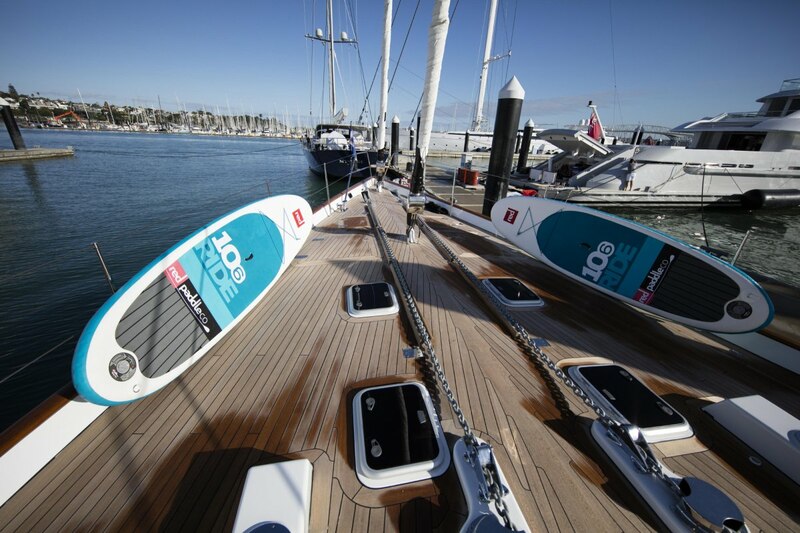 Crew has a separate companionway, and separate crew heads and showers. 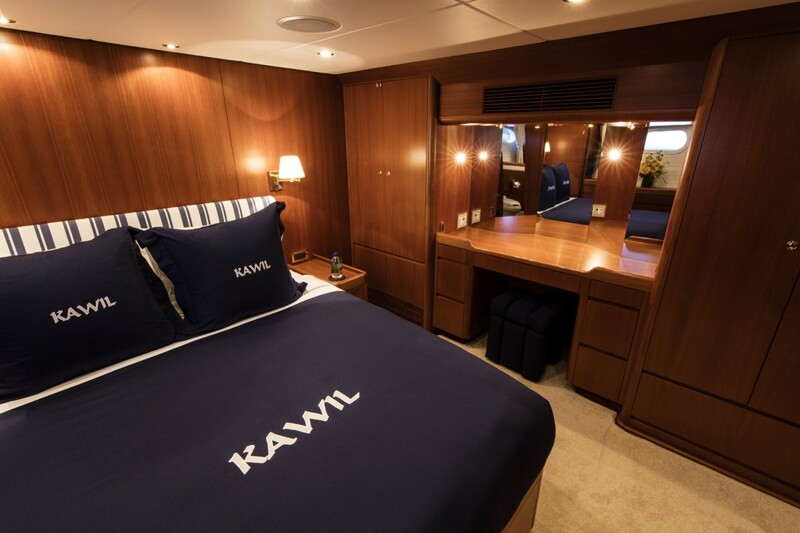 The master stateroom defines KAWIL's theme of boundless space and comfort. 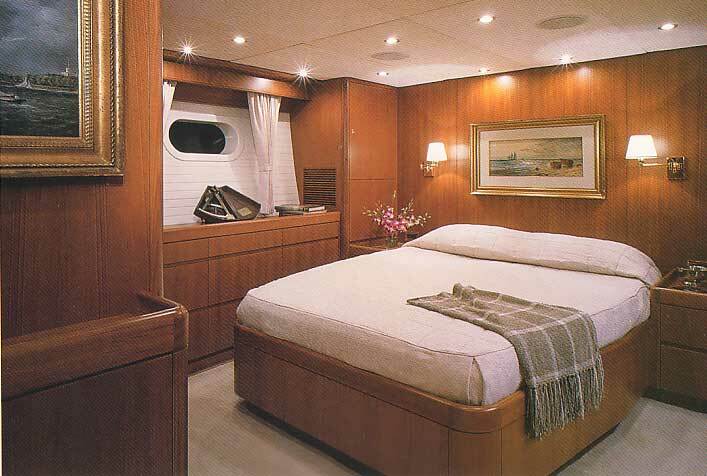 A queen size bed is complemented by an adjoining make-up counter/desk, and ample cedar-lined closets, drawers, and lockers throughout. 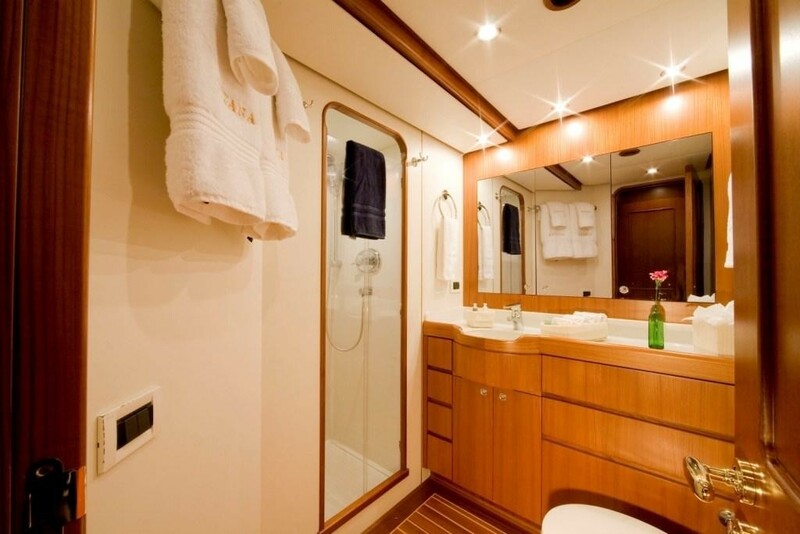 A built-in TV/VCR/CD entertains in complete privacy, while a walk-in shower, head and European styled bidet cater to all your creature comforts.